Given that it’s Earth Day, I thought I’d re-release an article I wrote about four years ago explaining why I’m a global warming skeptic. Originally published June 10, 2011 in Front Page Magazine. Let’s begin by acknowledging that the science of global warming is beyond the vast majority of us. Nonetheless, this does not mean we turn off our brains and simply accept the pronouncements of those sounding the alarm and offering their remedies. I am a global warming skeptic (to say the least) specifically because I have thought through the issue and the claims of the alarmists just don’t add up. What follows is my thinking and what it is that has led me to conclude that global-warming is a leftist farce which is being perpetuated for both financial and political reasons. First, I am skeptical because skepticism is the scientific starting point. Not cynicism but skepticism. This is especially true when the remedy being proposed is so drastic — in this case requiring the near-total dismantling of society as we know it. I am not overly impressed by talk of a “consensus” as there are enough good and serious scientists who reject the claims of the alarmists to make the pronouncement of “consensus” simply untrue. Besides, every wrong theory that had previously been embraced by society – such as the “fact” that the world is flat – was embraced by a “consensus” of scientists at the time and obviously that consensus was very wrong. My skepticism is only increased with the knowledge that the science of climatology is relatively new, little tested and since its claims about consequences are decades and even centuries in the future, never proven by having had their predictions come true. In fact, many of the alarmists’ most hyped claims have been proved by time to be patently wrong. As one leading alarmist wrote in an email he thought would remain private, global warming has been on a fifteen year hiatus that he felt needed to be covered-up. My skepticism of this new science is furthered even more by the knowledge that the “facts” upon which their models are created are based almost entirely on numbers that are not easily verified and which require great speculation to determine. If these “facts” are wrong then the models are useless (to say the least.) Remember, the whole global-warming theory is based on only a couple of degrees of change over many millennia. Do scientists really know what the temperature was in northeast Siberia in the year 802? Do they really know that number down to a single fraction of a degree? I’m skeptical and you should be, too. My confidence in the conclusion of these alarmist scientists is further weakened because I’ve been here before. For as long as I can remember the “experts” – many the very same people pushing global warming hysteria today – have been predicting one ecological disaster after another. In the 1970s and virtually every year afterwards, we were doomed – doomed!!! – to global cooling, global wetting, global drying, mass starvation, acid rain, an epidemic of heterosexual AIDS, Mad Cow and, just the other day, a deadly pandemic of Swine Flu. Alarmism seems to be a tactic employed by scientists to draw attention to their causes, garner major funding and make a name for themselves and hyped by a willing news (and publishing) media because hysteria sells. My trust in the conclusions of the alarmists is even further diminished by the unscientific methods the alarmists are using in their efforts. Not only are we now privy to leaked documents emailed back-and-forth between those at the head of the “climate change” research detailing the destruction of their work and their underhanded methods of preventing Freedom of Information laws to allow others to double-check their supposed findings, but the campaign to slander other scientists – those whose work sheds doubt on the alarmists’ claims – reeks of the kind of cowardice shown by those who know they are lying. Slander is not a scientific practice. Dubbing anyone who challenges their hysterical campaign as being like Holocaust deniers is an ad hominem attack with no scientific merit. In fact, it is anti­-scientific, a means to discredit the man rather than the answering the opposing science. Another of the alarmists’ ad hominem attacks – that anyone who questions their conclusions has been bought off by “big oil” (as Al Gore proclaimed in his testimony before Congress) – is not only a lie but a completely illogical claim. Whatever grant money a scientist may receive from the “evil” folks at Exxon/Mobil, etc. is nothing next to the tens of millions of dollars pocketed by folks like Al Gore. If one believes that all questions can be answered by “following the money,” then the scientist with a fifty-thousand dollar research grant from “big oil” (who must then weather the hate-mongering of the global warming establishment, put his job at risk and condemn both himself and everyone he knows and loves to a global catastrophe unequaled in human history) is not the guy to be questioning. If the “denier” is lying, he dies. If Al Gore is lying he gets to live into a ripe old age spending millions, jet-setting around the globe and showing off his Oscar and his Nobel Prize to the beautiful people in Hollywood and Cannes. If science is to be determined by who has the more obvious motive, it’s pretty clear that the Al Gores are the ones who are lying. 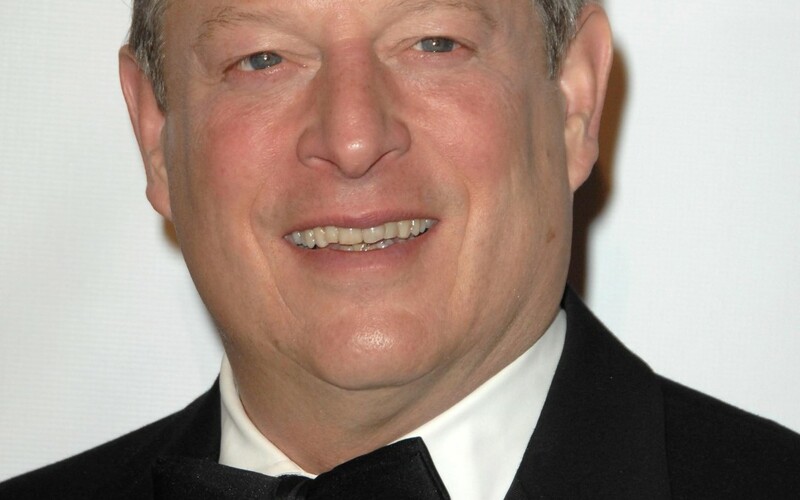 I also recognize as unscientific the creation of and adoration for Mr. Gore’s movie An Inconvenient Truth. This film, produced by Laurie David (ex-wife of Seinfeld creator Larry David), is filled with “facts” well-known to be (and acknowledged as such even by scientists employed in the making of the movie) hyperbolic at best and often out-and-out lies. That this is “documentary” – created by a D student in earth science and a Hollywood leftist whose greatest prior accomplishment was marrying a very funny man – is the “educational” tool being used to promote hysteria speaks volumes about how little there is to be truthfully said. The fact that those who continue to promote this propaganda effort, fully aware of the half-truths and out-right lies, makes clear that science (i.e. truth) is not, to them, sacrosanct. When scientists recognize that they cannot use the science to prove their science then, well, it’s probably not science. Nor does the campaign to brainwash small children – frighten them – with a propaganda film do much to earn my confidence. Leave the children alone. When scientists recognize that they can’t win the day with adults so they attack small children with fear-mongering, chances are good the science isn’t. And just as their “science” fills me with doubts and their methods increase my skepticism, so too does their proposed remedy. Under the Kyoto Protocol the most egregious polluters get to continue to pollute unabated while some of the most ecologically advanced nations face draconian punishment. If we were really as close to doom as the hysterics attempt to convince our children, everyone would be asked to sacrifice. Instead, it seems that the “remedy” being proposed is really nothing more than your usual Leftist efforts to redistribute wealth along the lines of an affirmative action program. Successful nations will be shackled, failed nations will be rewarded and, well, think global socialism and suddenly the Kyoto Protocols make sense. And lo and behold, the very same folks who are screaming “the world will end tomorrow” and then destroying the evidence, pocketing millions, flying around the globe to pick up their rewards and honors are exactly the same people who support every other leftist, socialist, punish-the-successful/reward-the-failure policy. No matter how you look at the issue – which is why the alarmists are so determined to never allow you to actually look at the issue – anyone who thinks must be skeptical of the claims of the hysterics. The science is new, its models based on utterly unverifiable numbers (i.e. the temperature in Guam in the year 8), the accuracy of its long term predictions obviously impossible to know, its short-term predictions having utterly failed to come to be (e.g. that decade-and-a-half long hiatus in global warming.) The behaviors of the hysterical scientists are unscientific, the behavior of the hysteric’s favorite celebrities contradictory to those someone who truly believed would be engaging in. If you follow the money it is almost entirely into the pockets of the hysterics while the proposed “remedy” does not seem to be those that would be proposed by people who believed the end is near. In fact, what the remedy does suggest – what the entire industry of the hysterics suggests – is that “manmade global warming” is a leftist farce being perpetrated by cynics who recognize there’s riches to be had, along with power and fame. Evan Sayet is the author of the bestselling book The KinderGarden of Eden: How The Modern Liberal Thinks. His lectures to the Heritage Foundation and the Conservative Forum are legendary and are, in fact, by far the most viewed and shared talks in each of their histories. Evan is also considered by many to be the nation’s leading political satirist. You can get tickets to see Evan on tour in Phoenix, Chicago, Boston and New York by clicking the appropriate city.